If you like Smart's mobile network service, you can actually enjoy SMS, voice and data services with an affordable SIM only Postpaid plan. Best of all, you can apply for it online. The obvious difference between postpaid and prepaid is in terms of outgoing services. Without load, prepaid services can only receive incoming texts and calls but cannot call out or send SMS. While loading stations abound, not all are available 24/7. You won't have time to search for one in case of emergencies too. Postpaid, on the other hand, will always be available unless there's no service in the area or if your account is suspended due to billing or any other account related issues. In relation to the latter, this is not even a good idea if you have more important bills to pay. So it may be best to stick with prepaid and just have to be mindful of the remaining balance left on your account. Expiration dates for top ups are at least longer now and TelCos send SMS notifications when it's about to expire. 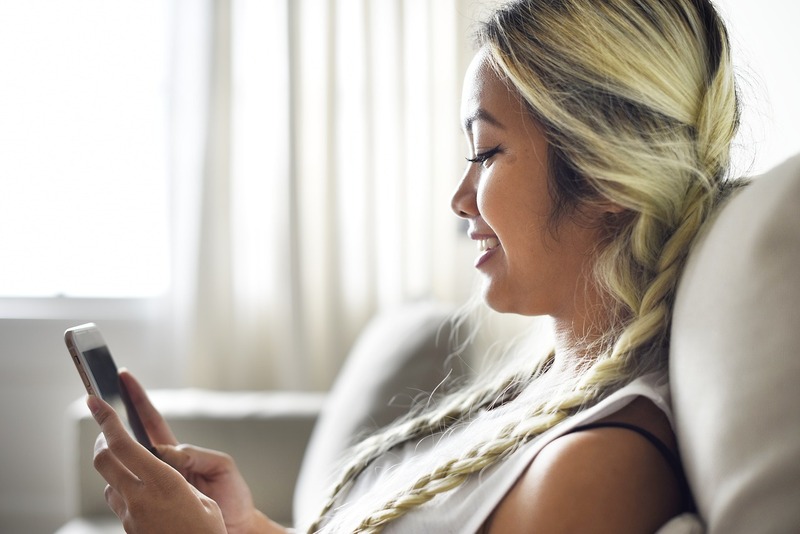 Most postpaid plans are accompanied by a mobile phone. Some people even avail of a plan because of the free phone that comes with it. But if you already have a phone, it makes sense to just get a Sim card only. It's actually even cheaper to purchase the phone separately instead of acquiring one through a plan. Requirements for a device-based plan is also more rigid as compared with a SIM-only one. 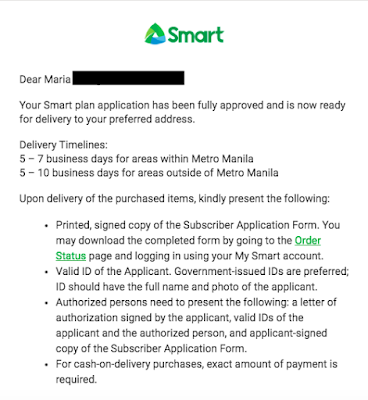 So if you've decided to avail of a SIM based postpaid plan via Smart Communications, here's how you can apply online. First, head over the Smart official website and look hover your cursor over the Buy Online tab to display categories. Click on Phone Plans and filter the category. 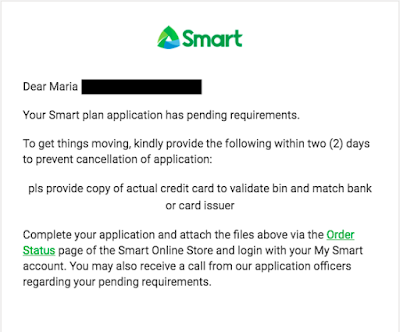 Uncheck everything and choose Smart Line-Only Plans to choose your preferred choice. Note that the menu may change if the website updates. Plans and their offered perks can be seen right from the page. 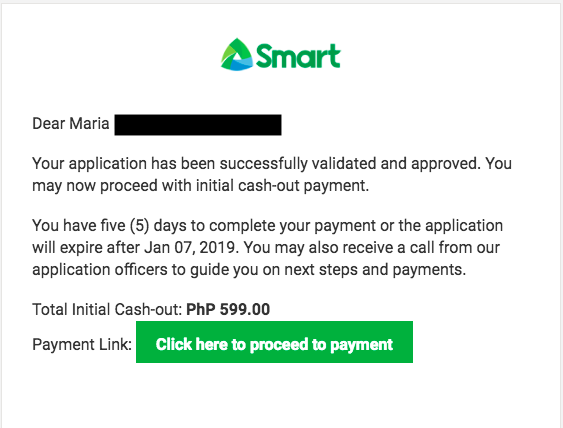 Lines can start for as low as Php ₱399 to as much as Php ₱2999. Click on your desired for more details and apply. 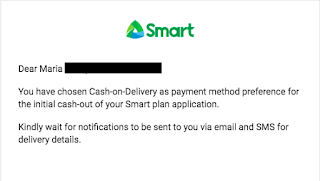 Upon applying, an initial cash out equivalent to the plan's monthly fee will be collected. There is also a 6-months contract even if it's just a SIM card. You will still need to send over requirements too. Next, just go with flow. Add to Cart. View Cart. Checkout to Apply. You will then be asked to login. You may register via Facebook or Google if you don't have an account yet. Having a registered account will make it easier to track your order. But you can still continue the transaction as a Guest. Fill out the Personal, Work and Billing Information and read the Terms and Options. Attach Supporting Documents and confirm the application. You will receive a confirmation via email afterwards. In my case, there's something missing so I was sent an email requesting to submit documents within the 2 days deadline. The usual requirements include Proof of Identity, Proof of Billing Address, Proof of Financial Capacity and Contact Information. You can submit just one from the list. Alternately, you can also use proof of identity cards if your name and address are showing. A credit card also works in place of the above. 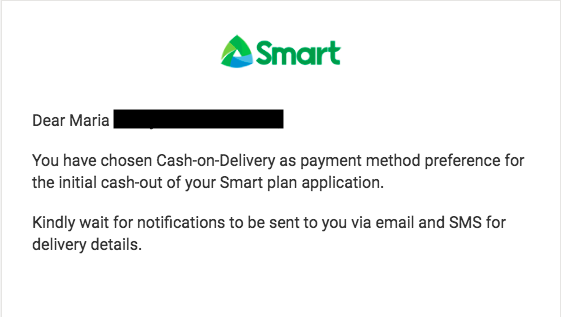 Next comes payment. Instructions will also be sent via email and needs to be fulfilled within the allotted time frame; otherwise, the application will not go through. Payment options include credit card, online banking, over the counter payment centers, and cash on delivery (COD). I chose COD. An agent called me for further verification before my application was finalized. 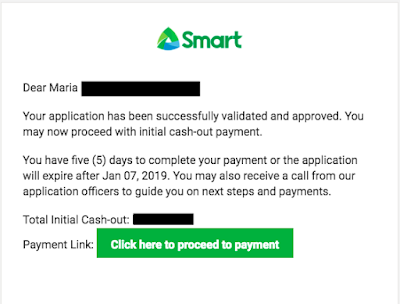 Surprisingly, all these can actually be fulfilled in one day if you completed the online application, including submitted the documents, during business hours. I applied at night and sent over the docus in the morning after receiving the email instruction to do so. Someone called me just a few hours after that. 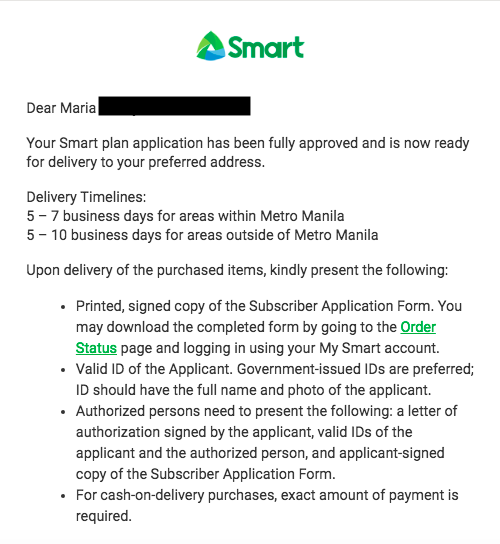 I received the SIM card faster than the expected delivery timeline. In case you don't, you can track the order online. Activation of the line should be within 24 hours after following the process. Mine was activated within a few hours. Note that this guide is only for applying online. You may also apply through a Smart physical store or over the phone by calling (02) 888 1111 via landline or *888 on a mobile phone with a Smart SIM card. It's wireless services are 4G LTE ready.